South Korean Police said Wednesday they have arrested a 46 year-old Nigerian for smuggling large amounts of methamphetamines, also called meth, into the country through international mail from China. 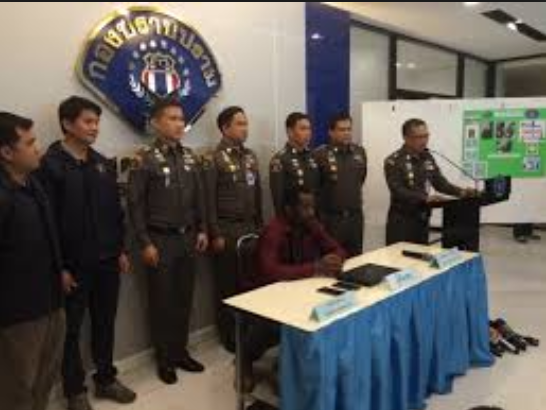 The Nigerian yet to be identified is being detained by the Gyeongnam Provincial Police Agency in Seoul. Yonhap, the Korean news agency said the Nigerian, twice last week and via post, attempted to smuggle into the country 605 grams of meth , worth some 2 billion won (US$1.77 million). The drug was hidden in women’s cosmetic products. Each parcel was delivered via international express mail. The volume of meth he tried to sneak into Korea is large enough for about 20,000 people, the police said. The suspect, who lives in Pyeongtaek, south of Seoul, and has a blue-collar job, received the mail from China through Cambodia. The police received intelligence about possible drug smuggling earlier and impounded the drugs at customs located at Incheon International Airport, it added. The police said they are investigating whether the suspect had any accomplices. It appears a Nigerian drug smuggling ring is very active in Asia, especially in India where many Nigerians have been arrested.